Rodney Ewing is a longtime stARTup friend, having exhibited with us as a solo artist in San Francisco, Los Angeles, and Chicago and twice with the 3.9 Collective. 2018 was a stellar year for Rodney, filled with many different opportunities and accolades, including being named one of Museum of the African Diaspora’s emerging artists for 2018-19. We first featured him in August’s article Completing the Story - How 3.9 Collective Came, Saw, and Conquered stARTup, as a founding member. But this month it’s time for Rodney to take center stage. 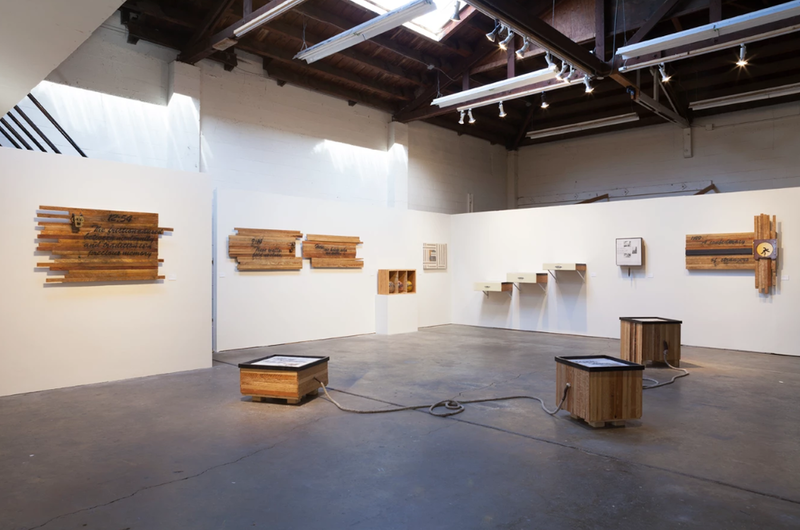 Rodney started the year off as an Artist-In-Residence at Recology San Francisco. This residency was a perfect fit, providing him with access to endless discarded materials and a large studio space at the San Francisco Waste Transfer Station. 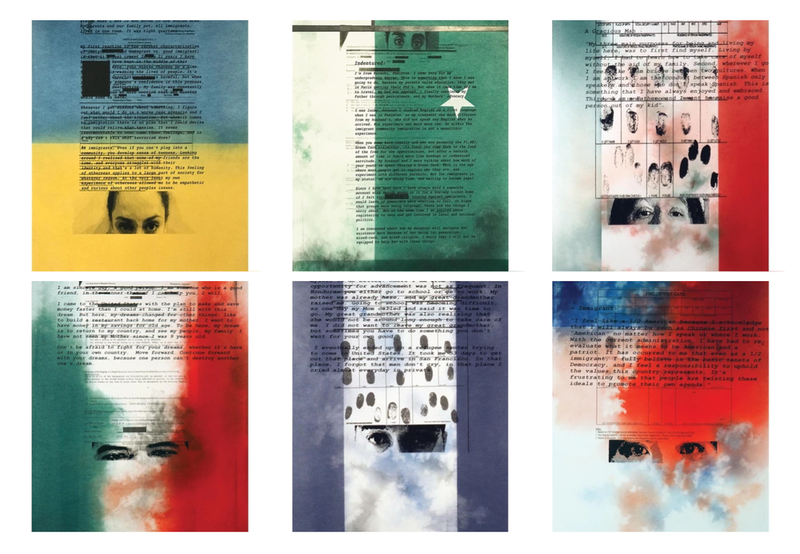 In May, the San Francisco Arts Commission commissioned him for six unique images, displayed in bus kiosks along San Francisco’s Market Street. 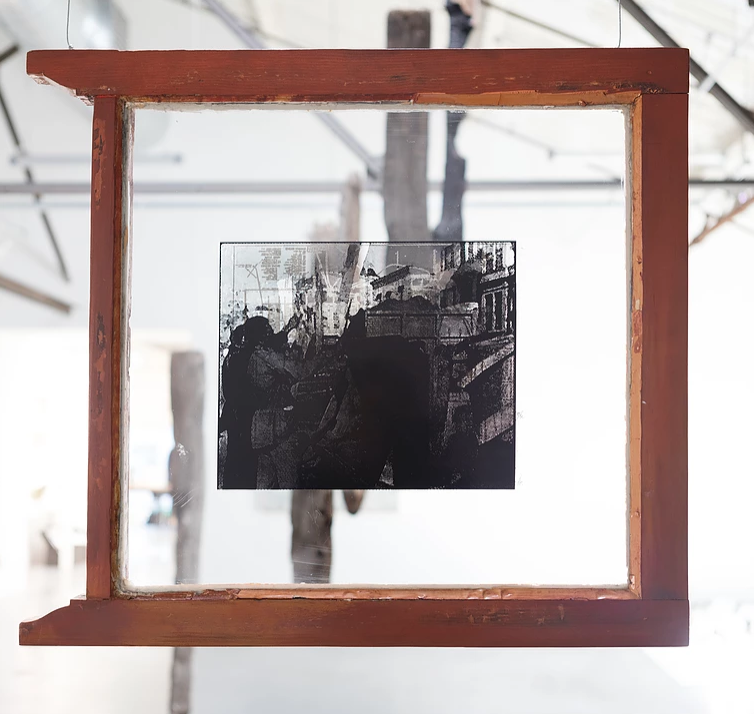 2018 also saw two group exhibitions closer to home. 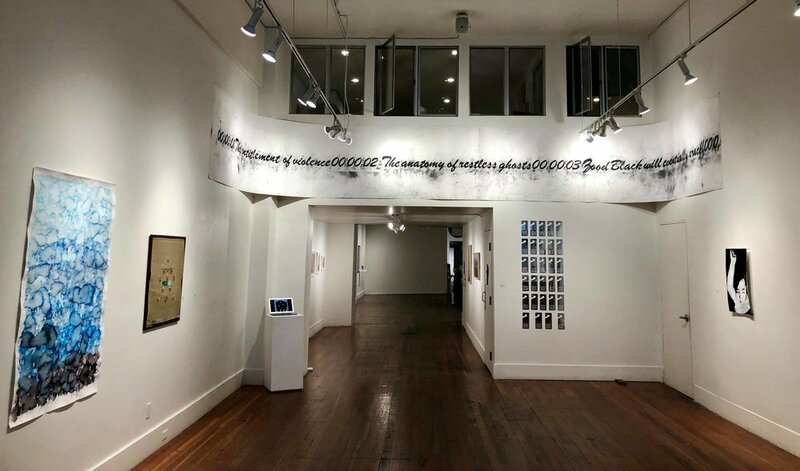 The first, 140 Characters, was on display at the San Francisco arts non-profit, and stARTup Non-Profit Partner, Root Division. Curated by fellow stARTup artist Margaret Timbrell, this group exhibition of text-based art created a complex dialogue, questioning how new technologies and various social media influence creative production, as well as highlighting the ways in which we connect and communicate in a society of constantly changing methods. Former stARTup LA 2019 Juror Amy Kisch, paired Rodney with previous stARTup jurors Hung Liu, Travis Somerville, past stARTup artist Brian Singer in re:home, an exhibition that reflected on San Francisco’s past as an “Arrival City,” and presented new ways how it can become a more effective and inclusive one. If all of that were not enough, Rodney also had a residency at the Djerassi Resident Artist Program, completed a private commission and was highlighted as the Featured Artist in PREGAME Magazine. Read more stARTup success stories: Chapter 1, with Andi Campognone, Chapter 2, with Victoria Huckins and Jennifer Perlmutter, and Chapter 3, with Jon Fischer. Applications are open for stARTup SF 2019. Those selected by our esteemed Selection Committee will each take over a hotel room for the course of three days to present a solo show and expose their artwork to the thousands of collectors, curators, gallerists, and art consultants who will be in the city for a weekend of art.